Aside from the bad environmental news you may have heard about the items listed here and here, you may also have heard good things (from the government and from TV "news" programs) about things that aren't necessarily harmless, beneficial, feasible or affordable, such as the items listed here. One of those supposedly good ideas was ethanol, which turned out to be nothing more than a pork barrel spending item that made several different foods more expensive, made gasoline less powerful, and didn't help the environment at all. Windmills were supposedly going to produce electricity at no cost, but they turned out to be a bad idea for a number of reasons: They kill birds and bats, including a lot of federally-protected birds (that apparently aren't protected around windmills! ), they make constant noise, they interfere with radar sites, and -- the biggest surprise of all -- they only provide power when the wind is blowing! Who knew that would happen? Somewhere around here, there are two pages about compact fluorescent bulbs, or CFLs, a real environmental boondoggle, and an outstanding example of what this page is all about. The second of those two pages shows a handy cost analysis: Ordinary incandescent bulbs are much more economical. But unfortunately the ordinary incandescent light bulb is being phased out, and the CFLs will be mandatory soon, along with 1.6 gallon toilets. Left-wing liberal anti-capitalist environmentalists have a steady stream of brilliant ideas that make their way into state and federal law, and in most cases, they solve problems we don't have and each one is an affront to individual liberty. The recent fad of banning plastic bags is just another bad idea in the series. For decades, we took groceries home in big paper bags, and then for a few years in the 1990's we were given a choice of paper or plastic, and after that, the paper bags disappeared. Paper bags were easily recyclable, just like plastic, and we now realize that paper bags don't blow away and get snagged in treetops and fences (or washed into the lakes) all over the state, as flimsy plastic bags tend to do. Yes, paper bags are made from trees, but plastic bags are made from petroleum. And the nice thing about trees is that after you chop them down, they grow back. Leftists are constantly making the erroneous claim that "we live in a democracy", yet they never put decisions like this on a ballot and let the voters decide. Notice, if you will, that small individual freedoms — the ability to choose simple things like "paper or plastic" — disappear first in the areas of our country where liberals predominate. California, Blinded By Plastic. California, the Los Angeles Times recently reported, is building a "non-plastic future." The state has outlawed or restricted single-use plastic bags, plastic drinking straws, and plastic cutlery. Future targets: plastic detergent bottles, unattached caps on plastic bottles, and polystyrene containers (typically used to hold restaurant takeout orders), which more than 100 California cities have already banned. Some legislators also want to ban travel-size shampoo bottles that hotels provide for guests. Golden State consumers are schlepping groceries in their arms as if they've been sent backward to the pre-bag era, sucking on paper straws that quickly become sodden and useless, and smuggling plastic bags across the state line. California may ban hotels from giving guests tiny bottles of shampoo, conditioner, lotion. The bill would ban "lodging establishments", including hotels, motels, resorts, bed and breakfasts, and vacation rentals, from offering small plastic bottles holding 12 ounces or under of product in rooms or public spaces. Instead, the establishments could offer "bulk dispensers" that could be used by a number of people. The goal is to cut down on the amount of plastic containers thrown away by guests and operators. The law wouldn't apply to nursing homes, hospitals, long-term rentals, or hosted rentals. New York City Mayor de Blasio bans plasticware in city agencies — including schools, jails, and hospitals. The mayor signed an executive order Thursday mandating the new guidelines. The ban has exceptions for people with disabilities and for medical use or use during emergency preparedness. Agencies will have 120 days to begin reducing their reliance on these items. The ban will go into full effect at the start of 2020. In a speech announcing the ban, de Blasio described plasticware items as "things we somehow got used to but we really don't need anymore." He said the companies that make such products were "the villain here." De Blasio said that this would cut the city's carbon emissions by 500 tons a year. Carbon dioxide is not carbon, and plastic forks do not emit carbon dioxide. When you eat with a plastic fork, your mouth emits more CO2 than the fork. California Plastic Bag Bans Spur 120 Percent Increase in Sales of Thicker Plastic Garbage Bags. In March, New York became the second state to ban plastic bags — behind California, which banned them in 2016. Countless cities, towns, and counties have also either prohibited plastic bags or imposed fees or other restrictions on their use. As always, New York's ban was justified as a way to protect the environment. Gov. Andrew Cuomo declared that it will "reduce litter in our communities, protect our water and create a cleaner and greener New York for all." Or maybe it won't. Far from weening us off hazardous single-use plastics, these bans may actually be encouraging people to instead use thicker garbage bags or other less-than-green alternatives. Drastic Plastic. [Scroll down] Let's go to Los Angeles magazine for guidance here: "Reusable Tote Bags Are the Greatest Trick the Devil Ever Pulled." Hmm. Why? Because the bottom of the bags accrues a sticky grot of leaked meat juices and fructose and breeds nasty bugs that give you the gut-rot for two days? Because you always forget them and feel as if you have sinned when you don't have a sustainable-transport option? All that, yes, but mostly this: "The production and distribution of single-use plastic bags produces less carbon and other pollution than paper bags, recycled plastic totes, and cotton totes. To achieve the same emissions-per-use ratio as a disposable plastic bag, you'd have to use your cotton tote 131 times just to break even." Hawaii and New Jersey May Enact the Nation's Toughest Bans On Plastic. Lawmakers in New Jersey and Hawaii are looking to make the lives of their voters a whole lot harder by proposing an extreme statewide ban on plastics and Styrofoam. Both of the states ban proposals are making their way through their respective state senates. While New Jersey's bill would ban plastic bags, plastic straws, and Styrofoam food and beverage containers, Hawaii's plan goes a bit further by adding plastic drinking bottles, utensils, stirring sticks, and garbage bags. The tropical state will also ban "nearly all plastic from fast food and full-service restaurants," according to Fox News. Banning Plastic Bags Will Hurt Businesses, Consumers. Gov. Andrew M. Cuomo hopes to gain some green points by passing a statewide plastic shopping bag ban. He seems oblivious to the serious adverse impacts on small businesses and their employees, as well as on consumers and the environment. There are 30 companies in New York State that manufacture plastic bags with 1,500 employees that will suffer if the ban takes effect, a representative for the Business Council of New York State pointed out in the New York Business Journal. There are also companies with employees that distribute these bags, many or all of which will be out of business thanks to Cuomo and his political allies. Science Shows that it's Not Really Green to Ban Plastic Bags. First, consider the public health profile of reusable cloth bags. A study conducted by researchers at the University of Arizona and California's Loma Linda University in 2010 measured bacteria in a sample of reusable bags, finding many containing dangerous ones, such as coliform (found in half the bags) and E. coli (found in 12 percent of bags). Pathogens can develop from leaky meat packages as well as unwashed produce. And consumers reported that they rarely wash the bags, according to the study. The consequences of such contamination can be serious. After San Francisco banned plastic bags in 2007, the number of emergency room visits for bacterial related diseases increased, according to a study conducted five years later by legal scholars at George Mason University and the University of Pennsylvania. "ER visits spiked when the ban went into effect," the study explained. "Relative to other counties, ER admissions increases by at least one fourth, and deaths exhibit a similar increase." Berkeley Restaurants To Charge Fee For Disposable Cups. One California city is pushing residents to switch to reusable cups by imposing a new tax. On Wednesday, the Berkeley City Council voted unanimously to force restaurants and coffee shops to charge a 25-cent fee for their disposable cups. The Democrat controlled city council is hopeful the tax will reduce the city's paper and plastic waste, and encourage people to bring their own reusable cups while dining out. Restaurants will reportedly be allowed to keep the funds raised from the fees to be used however they want. Don't Ban Plastic Bags! Like dozen towns and cities in Massachusetts and other states, Boston recently enacted a ban on plastic shopping bags. It went into effect December 14, 2018. It was a relatively easy vote, because "evil" plastic bags have received extensive bad press that generally ignores important facts. The same holds true in other jurisdictions, especially those controlled by Democrats who a generation ago cared about American workers, but today too often subjugate the needs of blue collar families to demands by college educated and environmentalist elites, and even noisy grade school kids. Paper straw demand up 5,000 percent since plastic ban. 2018 was, without a doubt, the year plastic straws died. The war picked up steam starting in 2015 after a YouTube video surfaced of a plastic straw being removed from the nostril of a sea turtle. Ever since then, big companies such as McDonald's, Starbucks, Goldman Sachs Group and even the city of Seattle have all taken measures to slowly outlaw them[,] or ban them completely. What's more, all of them have turned to one company — Aardvark, the first original paper straw maker in America — to discuss using paper straws instead. Straw Ban Straw Man. When Seattle outlawed single-use plastic straws in September 2017, the decision drew snickers from spectators as the latest, silliest example of nanny state excess — and one that could happen only in the famously progressive city. But by the time the ban went into effect in July 2018, straw bans had taken the world by storm. Vancouver, British Columbia, banned straws in May. Active efforts are underway to do the same in San Francisco; Portland, Oregon; Washington, D.C.; and New York City. California is mulling a bill that would prohibit restaurateurs from offering their patrons unsolicited plastic straws, and Hawaii considered a bill this year that would have outlawed both businesses and individuals from selling or even giving out straws free of charge. Islanders In Kenya Build Recycled Plastic Boat To Highlight Pollution. Kenyan islanders have built a boat made entirely of recycled plastic collected during clean-ups of the ocean to highlight the growing menace of plastic waste that ends up in the sea. Half-Marathon Ditches Plastic Water Bottles in Favor of Edible Water Pouches. Remember when news outlets were reporting on these funny-looking blobs back in 2017? Well, they will now be replacing plastic water bottles at a half-marathon in England. Marathons are notorious for generating massive amounts of plastic waste through their excessive utilization of single-use water bottles — so as a means of helping out the environment, the Ooho! water pouches will be handed out to runners during the Harrow half-marathon in London on Sunday [9/16/2018]. Kroger's Feel-Good Ban On Plastic Bags Is Worse Than Pointless. Kroger, America's largest grocery store chain, announced Wednesday that it would ban plastic bags at the checkout lanes in all its stores by 2025. This comes after a multitude of studies have found that replacements for those bags are often far worse for the environment, not to mention more expensive for consumers. Kroger to phase out plastic bags at all stores. The nation's largest grocery chain has begun to phase out the use of plastic bags as more Americans grow uncomfortable with their impact on the environment. A Tale of Three Cities. San Francisco is being overrun with the homeless and illegal aliens due to its sanctuary city status and virtue-signaling leadership. The streets are littered with human feces, hypodermic needles, and syringes, turning the once beautiful "City by the Bay" into a cesspool. What's the response of San Francisco leaders? Banning plastic straws. 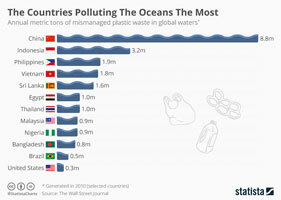 The Countries Polluting The Oceans The Most. A team of researchers in the United States and Australia led by Jenna Jambeck, an environmental engineer at the University of Georgia, analyzed plastic waste levels in the world's oceans. They found that China and Indonesia are the top sources of plastic bottles, bags and other rubbish clogging up global sea lanes. Together, both nations account for more than a third of plastic detritus in global waters, according to a report in The Wall Street Journal. In 2010, 8.8 million metric tons of mismanaged plastic waste in the ocean was traced back to China while 3.2 million metric tons came from Indonesia. San Francisco: The City of Bans. On July 19, the San Francisco Board of Supervisors voted unanimously to forbid restaurants, bars, and convenience stores from handing out or selling straws. The city joins a growing list of progressive enclaves to do so, including Seattle, Malibu, Santa Cruz, and Santa Barbara. Most cities impose a fine for such verboten behavior. But Santa Barbara's ordinance, which goes into effect next year, imposes a fine of up to $1,000 and imprisonment of up to six months. [...] What's the official point of it? It's designed to cut down on the plastic waste that ends up in the ocean. But as Reason's Christian Britschgi recently reported, plastic straws "account for about 2,000 tons of the 9 million tons of plastic that are entering the ocean each year." That's a tiny amount. And he noted that Starbucks, which recently announced that it will stop using straws, is introducing new lids that actually use more plastic than the old ones. There's no gain and activists are complaining about the elimination of a product that helps many disabled people drink from cups. The absurd hysteria around plastic straws. Taking away freedom for nothing in return is now a specialty of the environmental movement. After our environment got cleaner — thanks to technological innovation and some useful government-imposed requirements (like scrubbers in smokestacks and pollution limits on cars) — the zealots moved on to demand bans on pipeline construction, mining and oil drilling. They require lots of pointless recycling (though often garbage you separate is never recycled) and all sorts of feel-good policies that make no real difference. Disabled People are Decrying the Plastic Straw Ban. While many environmentalists are hailing decisions to do away with plastic straws in states, cities and big companies, advocates are pointing out that such bans will make life all the more difficult for the disabled. [...] Unfortunately, for many people affected with physical impairments, the new ban in San Francisco does not explicitly factor in disability access, but it does add that "strict compliance" with the new ordinance is not required if it should "interfere with accommodating for any person's medical needs." Activists push for statewide plastic straw and styrofoam food container ban. Activists from Environment California and the Surfrider Foundation gathered at Goleta Beach Park Friday morning to push legislators to pass statewide measures to protect California's coastline. The laws would address plastic straws and food packaging in the state of California. Julia McLaughlin works with environment California's Isla Vista office and helped organize the event. She says the organization has been working all summer to advocate for a state-wide ban on polystyrene, more commonly known as styrofoam, as well as limiting single-use plastic straw consumption. The Road to Hell is Paved With... Straws? In parts of California now, a person can go into a public park, shoot up heroin, throw the used syringe on the sidewalk, walk into the street and then poop in the highway — all without consequence. [...] The city council in Santa Barbara, Calif. voted this past week to throw restaurant employees in jail for up to six months if they give plastic straws to customers. San Francisco is following suit, as are other progressive meccas like Seattle. A national chain of progressive homeless shelters and communal bathrooms operating under the name Starbucks is banning straws, too. You can get plastic cups with plastic lids, but straws are forbidden. San Francisco approves measure to ban plastic straws. San Francisco supervisors have unanimously approved a ban on plastic straws and takeout containers treated with fluorinated chemicals. The vote Tuesday [7/24/2018] followed a ban on plastic straws and stirrers that took effect in Seattle this month. The San Francisco legislation requires a second vote next week. The legislation also makes napkins and utensils with takeout or delivery available only on request unless there is a self-serve station. Starbucks Bans Plastic Straws, Winds Up Using More Plastic. Not to be outdone by busybody legislators, Starbucks, the nation's largest food and drink retailer, announced on Monday [7/9/2018] that it would be going strawless. "This is a significant milestone to achieve our global aspiration of sustainable coffee, served to our customers in more sustainable ways," said Starbucks Kevin Johnson CEO in a press release announcing the move. The coffee giant says that by 2020 it hopes to have eliminated all single-use plastic straws at its 28,000 stores worldwide. It will now top all its cold drinks with fancy new strawless lids that the company currently serves with its cold brew nitro coffees. [...] Yet missing from this fanfare was the inconvenient fact that by ditching plastic straws, Starbucks will actually be increasing its plastic use. As it turns out, the new nitro lids that Starbucks is leaning on to replace straws are made up of more plastic than the company's current lid/straw combination. Stossel: Plastic Straw Myths. Plastic pollution in the ocean is a real problem, but only about 1 percent of it comes from the U.S. Of that 1 percent, only a tiny fraction comes from plastic straws. How can that be? Celebrities tell us Americans use 500 million plastic straws every day. "Polluting water and killing sea life," according to actor Adrian Grenier. The 500 million number is repeatedly used by the media. But it comes from a nine-year-old's school project. The real number is much less — closer to 175 million. Plastic Straw Feel-Goodery. Teachers here recently put children up to sending a letter to this newspaper proclaiming that "plastic straws are toxic and are destroying our planet" because they wind up in the oceans. The letter asked Aspen to ban them. [...] Aspen Skiing Co. also has jumped on the plastic bandwagon. Always on the lookout for a cheap gesture to signal its virtuous (or is it virtual?) greenness, their marketing gurus boast of banning plastic straws in their restaurants. They evidently think this little plastic straw ban buys them green indulgences to consume gigawatts of electricity generated by burning fossil fuels (elsewhere of course) to haul people up snowy hills so that they can slide back down on plastic skis, over and over, till they get cold and sit by a fossil fuel fireplace before burning barrels of fossil fuel to fly home. Starbucks' Straw Ban Won't Help The Planet, But Will Hurt The Disabled. Why have straws become the bête noire of the green lobby and progressive CEOs? Because some straws end up in the ocean. We'll concede that polluting the oceans with plastic is bad. But environmentalists aggressively pushing this straw ban are using phony statistics while ignoring the real problem. Almost every story on banning plastic straws cites the same statistic — that Americans use 500 million straws a day — which is based on a 9-year-old's "research" project he did in 2011. (A more reliable estimate is 175 million.) Whatever the number, straw bans in the U.S. will have virtually no impact on the world's plastic pollution problem. Not only do straws represent a tiny portion of plastic waste that ends up in the ocean, but the U.S. itself accounts for less than 1% of the marine plastic in the world's oceans, according to a 2015 study published in the journal Science. Europe's coastal countries, by contrast, account for almost 3%. Just five countries — China, Indonesia, the Philippines, Vietnam and Sri Lanka — are responsible for more than half of the plastic entering the ocean each year. Starbucks eliminating plastic straws from all stores, introduces adult 'sippy cup'. The coffee company announced Monday that it will phase out plastic straws from all of its stores by 2020. The changes will help Starbucks eliminate more than 1 billion plastic straws per year, the company said. Plastic straws contribute to ocean pollution and pose a danger to marine life. Some governments have begun banning them. What fraction of the straws from an urban coffee shop end up in the ocean? One in a million? One in a hundred million? The drive to eliminate plastic straws and bags is all about impeding capitalism. Nothing more, nothing less. The same can be said of environmentalism as a whole. Banning plastic straws is more scam than science. Seattle just became the first US city to impose the trendy ban, and New York may soon follow suit, with Mayor Bill de Blasio backing an anti-straw City Council bill. But even a national ban wouldn't dent worldwide plastic output. Nor does any serious research justify targeting straws: The oft-cited figure that Americans use 500 million plastic straws a day comes from a survey conducted by a 9-year-old. Even ban proponents admit the cause is a con: "Our straw campaign is not really about straws," Dune Ives, executive director of the outfit that pushed hardest for Seattle's ban, told Vox. "It's about pointing out how prevalent single-use plastics are in our lives." Seattle passes citywide law based largely on the research of a 9-year-old. Seattle has made it official: It is now the first major U.S. city to ban plastic drinking straws. As it turns out, the law, which includes a fine of $250 for all violators, is based largely on the unofficial research of a nine-year-old boy. Probably not the best basis for sound legislation, but what do I know? The ban, which went into effect Sunday, is an "environmentally friendly move that leaders hope will spark a nationwide conversation about small, everyday changes that people can make to protect the planet." Or so says the Washington Post. Seattle bans plastic straws, utensils, becoming first major US city to do so. Seattle has officially become the first major U.S. city to ban restaurants from giving plastic straws and utensils to customers in an effort to help the environment. Since July 1, restaurants in the Emerald City are barred from providing customers plastic straws, cocktail picks or utensils unless someone specifically requests one. In that case, the customer should be given a compostable option, according to Seattle Public Utilities. With 5,000 food service providers in the area, Seattle is the first major city in the U.S. to enact such a ban, KIRO-TV reported. Plastic Straws Aren't the Problem. Straws make up a trifling percentage of the world's plastic products, and campaigns to eliminate them will not only be ineffective, but could distract from far more useful efforts. The anti-straw movement took off in 2015, after a video of a sea turtle with a straw stuck in its nose went viral. Campaigns soon followed, with activists often citing studies of the growing ocean plastics problem. Intense media interest in the so-called Great Pacific Garbage Patch — a floating, France-sized gyre of oceanic plastic — only heightened the concern. But this well-intentioned campaign assumes that single-use plastics, such as straws and coffee stirrers, have much to do with ocean pollution. And that assumption is based on some highly dubious data. EU proposes to ban plastic straws, stirs, and cotton buds. The European Union has proposed banning plastic products like cotton buds, straws, stirs and balloon sticks when alternatives are easily available in an attempt to reduce litter spoiling beaches and ocean beds. How defective science harms public policy and damages our public schools. If a scientific study is to be legitimate, it must be reproducible because replication allows examination of the data and the possibility of different conclusions. If the study is not reproducible it is not really science, and as the authors show, that type of non-science is now common. In June of 2016, Oona Lönnstedt and Peter Eklöv of Uppsala University published a paper in Science warning of the dangers of microplastic particles in the ocean. The study got considerable media attention but as it turned out, "Lönnstedt never performed the research that she and Eklöv reported." So in philosophical terms, it had an existential problem, and veracity is also an issue. California city wants to charge for every disposable takeout container. While many cities across the world are banning plastic grocery bags in an effort to cut back on waste, one city in California is taking it one step further by targeting disposable containers and cups. Berkeley Mayor Jesse Arregu'n held an event Tuesday [4/24/2018] at the local recycling yard to introduce the legislation, which would encourage people to bring their own reusable containers and cups to restaurants and coffee shops or be charged an extra 25 cents. The Disposable-Free Dining plan would also require to-go containers to be 100 percent compostable or recyclable, chosen from a pre-approved list. Governor Cuomo introduces bill banning single-use plastic bags in New York state. A program bill that would ban all single-use, plastic carryout bags at any point of sale in New York State was introduced by Governor Andrew Cuomo Monday [4/23/2018]. The action follows the release of the New York State Plastic Bags Task Force report in January, which outlined the environmental impact of plastic bags, single-use bag reduction measures, and proposed actions that the state could take to reduce pollution and protect New York's natural resources, including a ban on single-use plastic bags. British PM May takes on plastic straws. Also ear swabs. The government of Britain's Prime Minister Theresa May is launching a domestic and international program against plastic straws. The idea is to have them and other single-use items gone by 2042 when the prime minister turns 86. Shocking report reveals that 95% of plastic polluting the world's oceans comes from just TEN rivers including the Ganges and Niger. Up to 95 percent of plastic polluting the world's oceans pours in from just ten rivers, according to new research. The top 10 rivers — eight of which are in Asia — accounted for so much plastic because of the mismanagement of waste. About five trillion pounds is floating in the sea, and targeting the major sources — such as the Yangtze and the Ganges — could almost halve it, scientists claim. Straws and cotton buds could be banned as Theresa May targets plastic pollution. Plastic straws, drinks stirrers and cotton buds could be banned from sale in England under plans being set out by Theresa May. The prime minister said plastic waste was "one of the greatest environmental challenges facing the world" and said the UK was taking a lead in tackling the problem. A consultation on banning the disposable plastic products will launch later this year in an effort to cut the amount of waste which ends up in rivers and oceans. California Considers $1,000 Fine for Waiters Offering Unsolicited Plastic Straws. Ian Calderon wants restaurateurs to think long and hard before giving you a straw. Calderon, the Democratic majority leader in California's lower house, has introduced a bill to stop sit-down restaurants from offering customers straws with their beverages unless they specifically request one. Under Calderon's law, a waiter who serves a drink with an unrequested straw in it would face up to 6 months in jail and a fine of up to $1,000. Sending Waiters to Jail for Offering Plastic Straws. It makes absolutely no sense to me that a state that's worked so hard to lower its prison population would even consider passing a law that might clog its jail population full of people whose only crime was asking "Would you like a straw?" California's Soft Secession Accelerates. Earlier this week Twitter briefly lit up with news of yet another California progressive excess. The state's Democratic house majority leader has submitted a bill that imposes criminal penalties on waiters who offer their customers plastic straws. [...] It's not worth spending too much time on this absurd bill (and I do mean absurd — Reason investigated and found that the justification for it rests on research conducted by a nine-year old), but it's a useful segue to a far more significant point. California is in the midst of an experiment in progressive governance and active resistance that is combining to create a simultaneously dangerous and tantalizing experiment in state autonomy. North Carolina Bag Ban Under Fire. The North Carolina Senate passed a bill rescinding a plastic-bag ban applying to the state's Outer Banks region. The ban was enacted by the state's legislature in 2010. The North Carolina Retail Merchants association says the replacement bags cost them 800 percent more than the plastic bags the law banned. State Sen. Bill Cook (R-Beaufort County), the sponsor of the bill repealing the ban, says the ban has been ineffective. A campaign to eliminate plastic straws is sucking in thousands of converts. It started so innocently. A kid ordered a soda in a restaurant. "It came with a plastic straw in it," Milo Cress recalled. He glared at the straw for a while. "It seemed like such a waste." Not only did Cress yank the plastic from his drink, but he also launched a campaign, "Be Straw Free," targeting all straws as needless pollution. He knocked on the doors of restaurants in Burlington, Vt., where he lived at the time, and asked managers not to offer straws unless patrons asked. He was 9 years old. It should be obvious that public policy should not be influenced by the impulses of a 9-year-old kid from Vermont. A soft drink comes with a straw -- or at least straws are made available nearby -- because that's what most customers prefer and expect. Those who consider this wasteful are abnormal. Those who would ban plastic straws altogether are busybodies. Food stamp purchases exempt from Chicago's new 7-cent bag tax. Chicago's seven-cents-a-bag tax goes into effect today. Plastic bags were legalized just so they could be taxed. It's what Rahm Emanuel calls Chicago Values. So if I make the mistake of driving five miles south of my home to Chicago — which already has a higher sales tax rate than Morton Grove — to shop for groceries I'll have to pay a bag tax if accept bags — whether plastic or paper — to lug my purchases into my car. Bag the Ban. Plastic shopping bags — the kind you get from your grocer or at the corner store — might soon vanish from stores in your community. Misguided bans and taxes on plastic bags could weigh down the economy, increase costs for consumers and small business, and leave a larger carbon footprint on the environment than alternatives. Plus, plastic bags are 100 percent recyclable and reused by 90 percent of consumers. It's time for a common-sense plastic bag policy that's good for the economy, the environment, and working families. Keep reading to find out why bag bans and taxes are a bad idea for America. Michigan just banned banning plastic bags. A new law in Michigan will prohibit local governments from banning, regulating or imposing fees on the use of plastic bags and other containers. You read that correctly: It's not a ban on plastic bags -- it's a ban on banning plastic bags. Michigan Lt. Gov. Brian Calley signed the new public act into law on Wednesday [12/28/2016], along with 11 other bills. Gov. Rick Snyder is currently on vacation out of state, local news sources reported, and Calley has the authority to sign bills into law in his absence. Good News: Chicago Repeals Ban on Plastic Bags. Bad News: Chicagoans Will Now Pay Tax on Plastic Bags. This just in from the "They'll get you one way or another" department: Chicago's unpopular ban on plastic bags will be repealed as of January 1, 2017. But on February 1st, Chicagoans will begin paying a 7-cent-per-bag "checkout tax." As reported by the Chicago Sun-Times, the tax will apply to both plastic and paper bags. Chicago repeals plastic bag ban. Chicago's plastic bag ban will be no more come Jan. 1. The City Council voted last month to repeal the ban, allowing retailers in Chicago to go back to providing regular plastic bags. The council also voted to push back the start date for collecting taxes on all bags. Nanny State of the Week: Chicago tries again with plastic bag tax. Some of the biggest cities in the United States have taken it upon themselves to wage a war on plastic bags under the guise of environmentalism. But, as many have continued to discover, plastic bags are not the scourge they imagine, and their nanny policies continue to fail. Chicago is the latest to go back to this well. Earlier this month, Mayor Rahm Emanuel's budget was approved by the city council with a 7-cent tax on plastic bags — 5 cents of which will go to the city. While bag taxes like these are sold as an environmental necessity, studies in multiple locales have shown that bag taxes rarely do much environmental good, and cities simply use the money raised to plug budget holes. Plastic bag fees are merely a stealth tax hike that disproportionately hits families that go grocery shopping more frequently. France Bans All Plastic Dishware Starting in 2020. The Associated Press reports that France has enacted a ban on all plastic dishes, cups, and utensils. The ban goes into effect in 2020, after which all disposable utensils and dishes must be made of biological, rather than petroleum-based, material. Organizations representing packaging manufacturers are fighting the ban, saying that it violates European Union commerce rules. The ban follows a similar French ban on plastic bags. City Council approves controversial plastic bag 'tax'. Time to BYO-Bag. That convenient double-handled plastic bag Big Apple shoppers get at check-out is officially going to come with a price tag. The City Council on Thursday [5/5/2016] green-lit a controversial bill that puts a 5-cent fee on plastic and paper shopping bags at grocery, convenience and other stores. The council voted 28-20 for the bill, which will take effect on Oct. 1. It is supposed to encourage people to bring along reusable bags when they go shopping. De Blasio throws support behind 'tax' on grocery bags. Mayor de Blasio all but said he'll back a 5-cent fee on shopping bags to reduce waste a day after City Council Speaker Melissa Mark-Viverito endorsed the controversial bill. In a radio interview, de Blasio said he wants to see some minor tinkering to the bill before he'd sign it into law but disputed opponents' claim that the so-called "tax" on plastic and paper bags unfairly socks the poor. China is lead contributor to plastic trash in oceans, study says. Millions of tons of plastic trash flow into the world's oceans each year, and a new study finds that most of it comes from China and developing economies in Asia. The study, published in Friday's [2/13/2015] edition of the journal Science, estimates that China's heavily coastal population contributes 1.3 million to 3.5 million metric tons of plastic to the world's oceans each year, largely due to mismanaged waste. Bag This Tax. If one wanted a better example of how elected officials jump at any chance to control behavior using tax laws, rely on unscientific bases for legislation, and then waste the new revenue they get on phony propaganda lying about the effectiveness of their program, they could find no better example than D.C.'s tax on plastic bags. Like many really dumb ideas, this one started in San Francisco. In 2007, San Francisco banned disposable plastic grocery bags. Washington D.C.'s city council jumped on the bandwagon, imposing a five-cent tax on plastic bags given out by grocery, convenience, and liquor stores. California bans bags; Arizona bags bans. The nanny state-environmentalist complex misled the public about the nature of the plastic ban and paper tax. Lawmakers wooed lobbyists and Big Business with the promise that grocers could pocket the dime-a-bag excise fee for paper totes. That single allowance is estimated to earn the grocers a dizzying $1 billion in new revenue, according to economic forecasts. Are plastic bags back in Huntington Beach? For two years, Huntington Beach stores have been prohibited from wrapping up groceries and other goods in plastic. The repeal is now scheduled to have a second reading before it's officially adopted 30 days later. The Left Avows Its Ungodly Love of Filth. The leftist intellect portrays waste where a marvel of engineering and utility exists. There's the obvious: the plastic bag enables us to segregate our groceries. Meat remains separated from fruit and vegetables. We've all encountered the leaky package of raw chicken. Because the chicken is segregated, the risk of salmonella and coliform is minimized. Best of all, the chicken-contaminated plastic bag can simply be tossed away. Compare this to the revolting reusable grocery bag — canvas or polypropylene — which over time festers a cauldron of mold and bacteria and, thus, disease. Why? Because no one washes the reusable bag after it has lugged home the leaky chicken. California's next big political fight: Plastic grocery bags. Go to a grocery store in California and buy all the milk, eggs and vegetables you want. But there's one thing you won't find at the checkout line, beginning July 1, 2015: Plastic bags to carry your stuff home. Gov. Jerry Brown (D) on Tuesday signed into law a ban on single-use plastic bags, making California the first state to prohibit stores from using the ubiquitous carry-alls. Shoppers will be charged 10 cents for every paper bag and heavy-duty plastic bag they use. California's Plastic Bag Ban And A State's Death Wish. California, as is its wont, enacted another bunch of silly laws this week, topped by a ban on the plastic bags that we all find so handy. [...] Nobody likes a "torrent of plastic polluting our beaches, parks and even the vast ocean itself," as Brown says. Yet plastic bags still end up where they shouldn't be. The answer, however, isn't to ban the bags, which people use not only for groceries but for everything from toting lunches to picking up pet droppings. The solution is to penalize those who foul the commons, not just with plastic bags but with all kinds of other litter. Californians actually may be worse off with the ban. It could, for example, actually make people sick, since the reusable bags that shoppers are being urged to switch to can harbor food-borne illnesses. California becomes first state to ban plastic bags. Gov. Jerry Brown on Tuesday signed legislation imposing the nation's first statewide ban on single-use plastic bags, driven to action by a buildup of litter and damage to aquatic ecosystems. The Benefits of Polythene Plastic Bags. We hate to burst your bubble, but those trendy cotton shopping bags are a false economy, in our opinion. You'd have to use one of them around 130 times before its efficiency equalled that of one plastic bag used just once. Why? Because it takes far more energy and resources to manufacture them. And if you tend to throw yours in the washing machine every couple of weeks, its carbon-efficiency plummets further. So if you use a cotton jute for your trip to the market once a week and decline a plastic bag every time, you'd need to use the same cotton bag every week for roughly two and a half years before the option paid off. California passes plastic bag ban, would be first such law in U.S. The California state legislature enacted a ban on plastic grocery bags on Friday [8/29/2014] near the end of its two-year session, a measure that if signed into law would become the first of its kind in America. A number of cities and counties in California and other U.S. states, including Hawaii's Maui County, have made it illegal for grocery stores to pack purchases in plastic. California lawmakers send governor a ban on single-use plastic bags. The state Senate on Friday [8/29/2014] gave final legislative approval to a measure that would phase out single-use plastic bags in supermarkets, pharmacies and convenience stores as part of an effort to rid beaches and streets of litter. The measure, which now goes to Gov. Jerry Brown for consideration, would allow stores to charge customers 10 cents to provide paper or reusable plastic bags as an alternative to single-use bags. Does the term "single-use plastic bags" include sandwich bags, dry cleaning bags, 30-gallon garbage bags, or those flimsy little produce bags that you put bananas in? Tree-hugging activists had better think it through before promoting a ban on "single-use plastic bags." Plastic Bag Fantasy Island Vanishes Like Atlantis, Scientist Corrects Million-Ton Floating Estimate. The scientist whose findings environmentalists used to shame us into bringing our own reusable bags to the grocery store now says that his estimate of one million tons of plastic floating in the ocean may have been off by a factor of perhaps 143. His latest estimate ranges from 7,000 to 35,000 tons, and even most of that has biodegraded into granules. The Garbage Philosophy Behind The Great Pacific Garbage Patch Myth. Why should we all be skeptical of doomsday claims about global warming? Well, there are a lot of reasons. But from now on, I can sum it all up in one simple phrase: the Great Pacific Garbage Patch. This was an environmentalist scare that became a bit of a trend from the late 1990s through the mid-2000s. The idea was that there is a giant floating raft of consumer trash in the middle of the Pacific where ocean currents created a kind of dead spot and all the flotsam and jetsam of the ocean gathered together. It was supposed to be a vast floating indictment — twice the size of Texas! the size of a continent! — of our wicked, wasteful lifestyles. The problem is that the Great Pacific Garbage Patch never existed. The Great Pacific Garbage Patch Hoax. A new study published in Proceedings of the National Academy of Sciences could mean bad news for environmental doomsayers. Forget all those warnings about the million tons of plastic debris floating in the ocean. Ignore the photos that you think show the Great Pacific Garbage Patch. Andres Cozar of the University of Cadiz in Spain is the man who once extrapolated the 1 million-ton estimate. Since then, however, he has led research that collected samples at 141 ocean sites. Cozar's new estimate: Between 7,000 and 35,000 tons of plastic are floating in the ocean. Cozar's team didn't find country-sized islands of plastic bags strangling baby birds and sea turtles. It found "micro plastics." What people think of as a dump doesn't look like floating junk. Instead, ocean current "convergence zones" are swirling with flecks of plastic — like a snow globe a half-minute after you shake it — and with considerably less plastic trash than expected. The 'Great Pacific Garbage Patch' myth. Many, perhaps most, Americans believe that a vast accumulation of (mostly plastic) garbage is floating somewhere out in the Pacific Ocean, a non-biodegradable stain on humanity, choking and deforming fish. But apparently, that is just a myth. An Ocean of Plastic. There is a lot of plastic trash and debris going to the world's oceans. It used to be dumped intentionally — New York City barged its municipal trash out to sea and tipped it in for years and years, as recently as 1992. There is no longer any country or municipality known to be disposing of municipal trash and garbage at sea today. Most trash and garbage is fairly readily decomposed in the natural environment and in modern landfills. [...] Jenna Jambeck summarizes it saying that the amount of plastic estimated to be washing into the oceans is "one to three orders of magnitude greater than the reported mass of plastic in high-concentration ocean gyres". That means that 10 to 1,000 times more plastic is going into the oceans than can be found. So, the Big Question about the Great Pacific Garbage Patch — all the Garbage Patches — is: "Where is all that plastic?" Restrictions On Plastic Bags Fail To Deliver Results. One argument for plastic bag bans is that cities will save money by reducing the costs of litter collection, solid waste disposal and recycling. And in tight fiscal times when municipal budgets are strained, the argument is compelling. However, a recent study by the National Center for Policy Analysis demonstrates that there is simply no evidence that plastic bag restrictions reduce these costs. L.A. starts 2014 with its new plastic-bag ban. For Los Angeles residents, the perfect holiday gift this year might have been a reusable grocery bag. On Wednesday [1/1/2014], large grocery stores will be prohibited by law from providing free plastic bags. Shoppers will be required to bring their own bags when stocking up on food and goods, or pay 10 cents per paper bag provided by the grocery store. Smaller independent markets and liquor stores that sell groceries will become subject to the ban July 1. Study: Banning Plastic Grocery Bags Does Not Cut Disposal Costs. Banning plastic grocery bags does not reduce disposal and recycling costs, a study of several U.S. cities shows. Consumers choose plastic bags far more often than paper or reusable bags to carry their purchases. Compared to paper and reusable bags, plastic bags are lightweight, strong, flexible, and moisture-resistant. In addition, they are easy to store and reusable for multiple purposes. Many studies have demonstrated previously overlooked health and environmental benefits of plastic grocery bags, such as their ability to prevent spread of foodborne diseases. Despite these characteristics and their popularity, a growing number of municipalities and some states are enacting laws aimed at reducing the use of plastic (and sometimes paper) grocery bags. The laws range from taxes to outright bans. Banning Plastic Bags Harms the Environment, Raises Costs. Government bans on plastic grocery bags harm the environment and do not reduce consumer costs, the National Center for Policy Analysis reports in a new study. "Bag bans are bad for the environment. The alternatives — paper bags and reusable bags — use more energy, use more resources, produce more greenhouse gases, and produce more waste and pollution than plastic grocery bags," reported study author H. Sterling Burnett. Plastic bag opponents have argued bag bans will reduce costs by reducing litter costs, solid waste disposal, and recycling expenses, the study observed. However, the study examined the experiences of several cities that banned plastic bags and found no such cost savings. Your Non-Plastic Bags Are Killing the Earth, Hippies. [Scroll down] Of course, you're wondering, aside from inconvenience and the potential for distressing and dangerous gastric illnesses, what could possibly go wrong when you ask people to abandon plastic grocery bags for reusable or paper ones? Well, the Progressive Bag Alliance just released a study on the environmental impact of "alternative" grocery containment measures, and it turns out, by switching to reusable and paper bags, you're actually sort of killing the earth faster. Plastic Bag Ban Responsible For Spike In E. Coli Infections, Study Says. A research paper published last year by professors at the University of Pennsylvania and George Mason University found San Francisco's ban on plastic bags has had significant negative repercussions on public health. Shoplifting soars in Seattle grocery stores after ban on plastic bags. When the Seattle City Council unanimously passed a ban on plastic bags and required businesses to charge a nickel for paper bags, city leaders believed it would be better all around. [...] But the bag ban is contributing to thousands of dollars in losses for at least one Seattle grocery store, and questions have been raised about the risk of food-borne illness from reusable bags that shoppers don't often wash. The Disgusting Consequences of Plastic-Bag Bans. Conservatives often point out that laws, no matter how benign they may appear, have unintended consequences. They can reverberate in ways that not many people foresaw and nobody wanted: Raising the minimum wage can increase unemployment; prohibition can create black markets. The efforts in many cities to discourage the use of plastic bags demonstrate that such unintended consequences can be, among other things, kind of gross. Bill in N.J. Senate would force stores to charge 15 cents for each plastic or paper bag distributed. Legislation encouraging customers in New Jersey to carry reusable shopping bags and forcing larger retailers to slash distribution of plastic bags gets its first hearing today [12/17/2012]. Haiti bans plastic bags, foam containers. Plastic and foam food containers are everywhere in this enterprising Caribbean nation — clogging canals, cluttering streets and choking ocean wildlife. Now those pesky black plastic bags made of polyethylene and polystyrene foam cups, plates, trays and other containers that have become as ubiquitous as the vendors who peddle them in street markets are on their way out. Anyone else experiencing 'bag shame' at the grocery store? Since Seattle instituted a bag fee earlier this year, most of us have probably been a lot more motivated to bring canvas bags to the store. Not everyone carries a big purse, right? Ban Plastic Bags, Ban Jobs? It's become fashionable in urban locales to ban the humble plastic bag. Los Angeles became the largest US city to enact such a ban, back in May of this year. Cities say they're banning the bags to fight pollution or for other environmental reasons. But as we've blogged here before, plastic bags are more sanitary than the reusable bags that the forces of ban prefer, and we warned that banning plastic bags could lead to job losses. LA didn't listen, and now a study has come out linking job losses in the area directly to the ban on plastic bags. 'Don't Kill Our Jobs with a Plastic Bag Ban'. We shouldn't laugh too hard at France for voting against basic math and the iron laws of economics this past weekend. In wide swaths of America, voters keep electing leaders who keep regulating our own businesses out of existence while they govern more by anecdote and emotion than by reason or cause and effect. In Los Angeles, for instance, the city council is set to ban plastic bags because of the city's unsightly litter problem. The ban will kill jobs and may even lead to more landfill waste and unsanitary food handling. But they're pressing ahead with the ban anyway, despite a workers' plea to stop. Reusable grocery bag carried nasty norovirus, scientists say. Oregon public health officials have traced a nasty outbreak of norovirus infections in a group of soccer players to an unlikely source: a reusable grocery bag contaminated with what some experts are calling "the perfect pathogens." The incident is raising questions, once again, about the cleanliness of the portable shopping bags that many consumers use to avoid the paper vs. plastic impact on the environment. Ban the Bag, Get the Runs. Stores can wash the bags to kill the bugs, but how many of them will do that without yet another government mandate to force them to? And what would that mandate do to the cost of goods sold in the stores? Plastic bags, meanwhile, are sanitary and recyclable and make up a tiny fraction of the material that goes into landfills. So we could just keep using them. Aloha! Leave Your Plastic Grocery Bags at Home. Honolulu County has joined Hawaii's three other counties in enacting a ban on plastic shopping bags, making Hawaii the first state with a total ban on plastic shopping bags. The Honolulu County Council approved the ban in April. Honolulu Mayor Peter Carlisle, who also acts as the county executive, initially held back his support in order to gauge the public's attitude and study the enforcement and compliance costs. A Suffocating Plastic-Bag Ban. Californians use 12 billion plastic bags per year, according to advocates of the ban. If this policy was expanded to the entire state, this would cost citizens $600 million per year, or over $30 per person. Is this really an ethical policy, charging people via government fiat merely to shop? Bans on plastic bags harm the environment. In 2011, the United Kingdom's Environment Agency released a study that evaluated nine categories of environmental impacts caused by different types of supermarket bags. The study found that paper bags have a worse effect on the environment than plastic bags in all nine impact categories, which include global warming potential, abiotic depletion, acidification, eutrophication, human toxicity, fresh water aquatic ecotoxicity, marine aquatic ecotoxicity, terrestrial ecotoxicity, and photochemical oxidation. Hawaii to become first U.S. state to ban plastic bags at checkout in every county. Hawaii is slated to become the first state in the nation to ban plastic bags at checkouts in every county. "This is groundbreaking," said Honolulu Mayor Peter Carlisle, according to msnbc.com. Carlisle signed off on the ban last week, joining Honolulu County with the state's three other counties, which had already passed the ban. Boulder Considers Charging Fees For Grocery Bags. Boulder leaders are considering a proposal that would require customers to pay for paper or plastic grocery bags. Reusable Bags Blamed for Norovirus Outbreak. What could possibly make Occupy Los Angeles camps even smellier? If more liberals started using reusable grocery bags when the city bans plastic grocery bags. Reusable grocery bags can infect people with the norovirus, which yearly hospitalizes 800,000 people and kills another 800, a infectious virus that causes severe vomiting and diarrhea. And as more cities like Los Angeles try to ban plastic grocery bags, reusable grocery bags will be more omnipresent in these cities, causing greater public health dangers. L.A. Readies Plastic Bag Ban. This month, the Los Angeles city council is expected to ban single-use plastic bags. "[T]he ban is an attempt by the city to reduce litter," says the Los Angeles Daily News. But it is likely to reduce something else: jobs. No Paper or Plastic: LA Bids Bags Goodbye. Influenced by out-of-touch environmentalists, the Los Angeles City Council committee moved forward last week with plans to phase out and ultimately ban paper and plastic bags in Los Angeles. Environmentalists would like similar legislation to pass across the nation, completely oblivious to the fact that such legislation would not only inconvenience many consumers and shoppers but kill jobs. Austin OKs disposable bag ban for 2013. The Austin City Council has approved a ban on disposable plastic and paper bags at checkout counters for retailers. The ban approved early Friday [3/2/2012] takes effect next March. Green Blue Laws. Montgomery County, Maryland is the latest locality to impose a 5-cent tax on shoppers or restaurant-goers who need a plastic bag to take their purchases home. Next door, Washington, D.C. imposed such a tax already; environmentalists are pushing localities everywhere to do the same. The tax is insignificant as a revenue-raiser — perhaps $1 million a year will be collected, and probably less. The tax is in fact designed not to be collected. Relative to the actual price of producing such a bag — not even 1 penny — the tax is outrageous, at a 400-percent rate. Few people will pay 5 cents for something they value at zero — they will go to significant extremes to avoid it, even if it adds "only" 25-50 cents' added costs per trip to the supermarket. Seattle's New Ban on Plastic Bags 'Pushes People to Less Environmentally Friendly Options'. A move by the Seattle City Council earlier this week to ban plastic bags and levy a five-cent tax on paper bags at retail outlets will push consumers to "more resource-intensive alternatives," and will actually harm the very environment the ban seeks to protect, a leading plastics manufacturer and a major conservative group say. Plastic bags banned in Seattle. The Seattle City Council passed a broad ban on plastic bags Monday, outlawing them not just in grocery stores, but in department stores, clothing stores, convenience stores, home-improvement stores, food trucks and farmers markets. The bill goes further than bans in other cities, which have largely banished plastic only groceries and sometimes drug stores. Customers in Seattle will still be able to get paper bags from retailers, but for a 5-cent fee. No Paper Or Plastic? An effort to allow only reusable bags at Los Angeles grocery stores may sound like a political long-shot, but one city councilman thinks the public will eventually warm up to the initiative. Ban Shopping Bags Says EU. The EU was under fire last night for seeking a ban on plastic shopping bags to fight pollution. Shops in Britain could be outlawed from stocking them, or alternatively there might be a new tax to dramatically reduce their use. But angry retailers say any move would hit sales, while doing nothing to save the environment. Bag the Plastic Ban. [Scroll down] Unfortunately, study after study has shown that most of the supposed "benefits" of these bans and taxes have a negligible effect on the environment at best, and can actually have unintended consequences that cause greater environmental harm. Take Ireland, for example. When the New York Times reported the 94 percent decrease, it neglected to specify that it was referring only to plastic grocery-bag use. Sales of non-grocery plastic bags (garbage bags, etc.) rose an astonishing 400 percent, amounting to a net increase of 10 percent in total plastic-bag consumption. 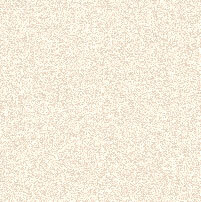 Lead found in some reusable grocery bags. A U.S. consumer group says high levels of lead have been found in reusable grocery bags supplied by major retailers. The Center for Consumer Freedom says of the 44 organizations whose bags were tested, 16 are selling or distributing reusable bags containing lead in amounts greater than 100 parts per million, above the limit many states set for heavy metals in packaging, the CCF Web site reported Monday [1/24/2011]. Lead for Me But Not for Thee. The Environmental Working Group (EWG) is an environmental research and advocacy group that specializes in sounding the alarm over toxic substances. ... EWG won't stand for lead in cosmetics, but when it comes to one of its sacred cows, it's nothing a little soap and water can't solve? Can anyone else spot the inconsistencies? Tests show lead levels vary in reusable grocery bags. Grocery chain Winn-Dixie sells a reusable grocery bag with two sturdy handles, pictures of cute baby faces and enough toxic lead to alarm health experts. The bag contains enough lead that Hillsborough County could consider the bag hazardous if thrown out with household trash, according to independent laboratory tests commissioned by The Tampa Tribune. Reusable Grocery Bags Breed Bacteria. They are good for the environment, but reusable grocery bags are also a breeding ground for bacteria. Md., Va. lawmakers to propose 5-cent fee on disposable bags. Maryland and Virginia lawmakers say they will push for 5-cent fees on disposable paper and plastic bags at stores, after the District this month became the first major city in the nation to impose such a fee. 'If I had a nickel for every bag,' sez Mayor Bloomberg. Mayor Bloomberg wants to nickel and dime you at the grocery store -- taxing you an extra 5 cents for every plastic bag you take home. The controversial charge could raise at least $16 million for the cash-strapped city while keeping tons of plastic out of landfills, city officials said Thursday [11/6/2008] -- but some outraged shoppers aren't buying it. Nanny State, USA. This week San Francisco became the first U.S. city to ban plastic grocery bags from city supermarkets and drug stores. San Francisco generates an estimated 180 million plastic bags each year, and the city counsel [sic] wants them gone. Grocery shoppers will have to find an alternative within six months. A series of blunders turned the plastic bag into a global villain. Scientists and environmentalists have attacked a global campaign to ban plastic bags which they say is based on flawed science and exaggerated claims. The widely stated accusation that the bags kill 100,000 animals and a million seabirds every year are false, experts have told The Times. Whole Foods to sack plastic bags by Earth Day. Natural and organic grocer Whole Foods Market announced today it will stop using disposable plastic grocery bags at supermarket checkouts and encourage reusable bags instead. Environmental Activist Failures Highlight Earth Day. [Scroll down] Earlier this year ... scientists reported that plastic bags are having virtually no impact on marine life or other animals. Although a single study several years ago found that 100,000 marine animal deaths occur each year from all forms of environmental plastic (most notably six-pack holders), scientists reported this year that the number of deaths attributable to plastic grocery bags is almost zero. San Francisco is the First City to Ban Plastic Shopping Bags. Supermarkets and chain pharmacies will have to use recyclable or compostable sacks. The city's Board of Supervisors approved groundbreaking legislation Tuesday [3/27/2007] to outlaw plastic checkout bags at large supermarkets in about six months and large chain pharmacies in about a year. Plastic bags may be banned in Boston. The Boston City Council wants to ban the use of plastic shopping bags at supermarkets, pharmacies, and convenience stores in the city, saying the ubiquitous bags are a hazard to the environment and a maddening blight of the landscape. Santa Barbara Takes a Step Toward Banning Plastic Bags. City leaders on Tuesday [5/15/2007] took a step toward banning Styrofoam containers used for prepared food and plastic bags used at grocery stores in their efforts to become more environmentally friendly. The Plastic Bag Ban is Full of Holes. Plastic bags cost about a penny each, paper costs about a nickel and compostable bags can run as high as 10 cents each. … Paper bags generate 70 percent more air pollutants and 50 times more water pollutants than plastic bags, according to the U.S. Environmental Protection Agency. This is because four times as much energy is required to produce paper bags and 85 times as much energy is needed to recycle them. San Francisco may charge for grocery bags. San Francisco may become the first city in the nation to charge shoppers for grocery bags. The city's Commission on the Environment is expected to ask the mayor and board of supervisors Tuesday [2/2/2005] to consider a 17–cent per bag charge on paper and plastic grocery bags. While the goal is reducing plastic bag pollution, paper was added so as not to discriminate. Starting Tuesday, plastic bags illegal at big S.F. grocery stores. Starting Tuesday [11/20/2007], large grocery stores in the city can no longer use the traditional plastic bags that are a staple of the supermarket checkout line, as a city ordinance passed earlier this year to ban the bags takes effect. Ignore the greenwash... plastic is fantastic. What will happen if Edinburgh taxes plastic carrier bags? The answer came from the Scottish Parliament's Environment Committee after two years of hearings and expert evidence. If you don't have time to read thousands of words on their website, the conclusion comes in just six words — "the environment will be worse off". Surprised? Surely plastic bags are a danger to the environment. Wrong. Over two years, this claim was demolished by experts and science at an estimated cost of £2 million of Scottish taxpayers' money. I love plastic bags. Is the lack of intellectual rigour in the whole debate about plastic bag use annoying you? Of course, it is politically correct not to like them; to front at the shops with a handbag full of crisp green or red or yellow or purple bags to carry your purchases. And it's politically incorrect to argue what I'm about to do here: that perhaps plastic bags might not be the environmental bogie we claim. Plastic bags choke Garrett. Here we go again — another green crusade in which facts are invented to scare you into doing something dumb. This time our evangelical Environment Minister says he'll this year take away your plastic shopping bags — the ones that are so useful that we use more than 4 billion of them each year to cart home our shopping. What must we use instead to carry home the fortnightly shopping: suitcases? Rolls of green bin liners? And how annoying not to have those plastic bags to reuse for everything from wrapping leftovers and wet clothes to picking up manure. Ban on bags can't carry weight. Plastic bags are under siege, pilloried globally as a menace to the environment and a symbol of man's conspicuous consumption, despite mounting evidence to the contrary. Without plastic bags we would all buy less, goes the thinking. But, of course, we won't. Paper or plastic? Either bag would cost you 20 cents extra. To reduce trash, Mayor Greg Nickels wants Seattle shoppers to pay a fee on all disposable bags — paper and plastic — at grocery, convenience and drug stores. Customers would be charged a 20-cent "green fee" per bag used at the checkout line. If approved by the City Council, the fee would take effect Jan. 1. "The answer to the question 'Paper or plastic?' should be 'Neither,'" Nickels said at a news conference Wednesday morning [4/3/2008]. Bags are a tiny fraction of sea trash. I figured if anyone would jump for joy at Seattle's crusade against plastic bags, it would be the flotsam guy. ... So when I asked him what he thought of Seattle's plan to crack down on disposable grocery bags, I was surprised when he sort of shrugged. "It's OK, but plastic bags are not the real problem," he said. "It's one little battle out of a million. Go look at what the ocean carries in on a given day. You'll see what I mean." Loblaws bags a nickel starting tomorrow. It's like there's a scarlet letter burned across Jennifer Sutcliffe's forehead as she hastily piles eight bags of groceries into the cart — "P." For plastic. For polluter. "I have cats. I use them for the litter," she clarifies apologetically. Not good enough. Gazing down the line of nine open cashiers, Sutcliffe is the only one who didn't BYOB. The 40-year-old retreats from the Loblaws store, which as of tomorrow will begin a plastic fee of 5 cents per bag. A source said proceeds will go to the World Wildlife Fund. Dear Jennifer: Find yourself another place to buy groceries, and let the earth-worshiping hippies shop at Loblaws. Plastic Bag Fears Based on Misquoted Study. Shoppers the world over can breathe a collective sigh of relief now that leading scientists are stepping forward and defending the widespread use of plastic bags at supermarkets and other retail outlets. ... The plastic bag scare, it turns out, is based on a 1987 Canadian study that investigated the harm to marine mammals and seabirds from discarded fish nets. For reasons not fully understood, Australian researchers, in a follow-up study conducted 15 years later, mistakenly attributed the death of 100,000 marine animals to plastic bags instead of the "plastic litter" cited in the Canadian research. Whole Foods Gets it Wrong. Whole Foods has banned plastic bags. The only free bags that it provides to customers at the checkout are paper bags. The company has eliminated consumer choice, pandering to political correctness. Whole Foods is leading people to believe that it is making a positive contribution to the environment by providing paper bags rather than a plastic bags. It is not. It is hurting the environment. Bags get sacked. So there's this guy at the Evanston Farmers Market, earthy type, grows organic arugula and bok choy and all manner of eco-friendly hippie chow. His stand is a favorite stop for greenish types and locavores and, well, people who get up early on Saturdays to buy stuff like fresh arugula and bok choy. But as wildly popular as Henry Brockman and his operation might be, there was one thing that drove the environmentally friendly farmer nuts. It was the plastic bags. LA bans plastic bags. The city of Los Angeles will ban plastic bags from retail stores from July 1, 2010, following similar regulations already enforced in San Francisco. Los Angeles, the second-largest US city behind New York, would ban plastic bagging in all supermarkets, grocery and retail stores, the Los Angeles City Council said. Plastic bag FAQ. Are plastic bags recyclable? Yes, absolutely. In California, large supermarkets are required by law to provide plastic bag recycling receptables for consumers to dispose of bags. Virtually all of the bags placed in these recycling bins are actually recycled into new products. Free grocery bags targeted for extinction in California. The plastic grocery bag is fighting for its crinkly life. From the city of San Francisco to Los Angeles County, more than a dozen local governments around the state have proposed or passed plastic-bag restrictions, ranging from recycling mandates to outright bans. In India, plastic bag use is a capital offence. The global battle against plastic has taken a draconian turn with officials in Delhi announcing that the penalty for carrying a polythene shopping bag would be five years in prison. Officials in India's capital have decided that the only way to stem the rising tide of rubbish is to outlaw the plastic shopping bag. Panel votes to ban plastic retail bags. A Senate committee Wednesday night voted 4-3 for a bill that would ban plastic bags in large retail stores within three years. Critics complained that the bill would drive consumers to paper bags, which cause their own set of environmental problems. But supporters said the idea was to get customers to use some sort of reusable bag. Plastic bags must go, Basnight says. State Senate leader Marc Basnight has one word for shoppers: plastics. And he wants them banned. Basnight, the Manteo Democrat and restaurateur who is one of the state's most powerful leaders, is pushing a bill that would ban plastic shopping bags in Outer Banks counties. It's a pilot program that, if successful, could be imposed statewide. Colorado Senate Bags Plastic Shopping Bag Ban. The Colorado Senate has rejected a bill that would have made Colorado the first state to ban plastic shopping bags. Proponents of the bill had argued plastic bags are not biodegradable and can harm wildlife. Opponents noted plastic bags are recyclable and studies show plastic bags have minimal negative impact on wildlife. In addition, opponents had noted a ban on plastic bags would increase use of paper bags, which take up more landfill space than plastic bags. Paper bags are also much bulkier and heavier than plastic bags, which means transporting paper bags requires the burning of more fossil fuels than the transport of plastic bags. Back to plastic? Reusable grocery bags may cause food poisoning. Get out your bleach and launder those reusable fabric grocery bags after each use. You're not clogging up landfill with plastic throw-aways, but your environmental conscientiousness could make you sick. Landfills do not get "clogged up" — they get deeper and wider. Landfill capacity is not threatened by plastic grocery bags. Obama: Not The First Head Of State To Design Cars. That's environmental paranoia in a nutshell for you. It isn't really about the environment, it's about control. You, too, are going to be forced to look as stupid as the guy pulling ten canvas bags out of his faux leather man-purse. If you dare show up at any grocery store in Toronto, Canada, without your own ratty, reused bags, you'll be charged five cents for each one — a tax on your audacity, collected by the City. U.N. environment chief urges global ban on plastic bags. Single-use plastic bags, a staple of American life, have got to go, the United Nations' top environmental official said Monday. ... [A total] ban is already being tested in China, where retailers giving out thin bags can be fined up to $1,464. ... In the United States, only San Francisco has completely banned plastic bags. Hmmm... Do the governments of San Francisco and China have a lot in common? Colorado Senate Bags Plastic Shopping Bag Ban. The Colorado Senate has rejected a bill that would have made Colorado the first state to ban plastic shopping bags. Proponents of the bill had argued plastic bags are not biodegradable and can harm wildlife. Opponents noted plastic bags are recyclable and studies show plastic bags have minimal negative impact on wildlife. In addition, opponents had noted a ban on plastic bags would increase use of paper bags, which take up more landfill space than plastic bags. Obamacare Or Logan's Run. I'd like to know where the environmental hypocrites are hiding, knowing that the health plan bill, H.R. 3200, is 1,000 pages long and has been distributed to all the members of the House and Senate. Shouldn't they be ranting about the poor trees that have been destroyed for this bill the same way they successfully demonized the supermarket brown bags? Those bags were replaced by plastic bags that shredded before shoppers reached the parking lots. Now these flimsy bags are being replaced by cloth bags made in China that will carry your precious, organic tasteless produce and the planet will be saved, thanks to you. Seattle Voters Reject 20-Cent Grocery Bag Fee. Seattle voters have rejected a 20-cent fee for every paper or plastic bag they get from supermarkets, drug stores and convenience stores. The city's incumbent mayor didn't fare much better than the fee, trailing two challengers in a bid for a third term. With about half the ballots counted in the all-mail vote, the bag fee was failing 58 percent to 42 percent in Tuesday's [8/18/2009] primary. Soiled, reusable shopping bags pose health risk: Study. The Environment and Plastics Industry Council stated Wednesday [5/20/2009] that a study it funded shows reusable bags "pose a public health risk" due to high counts of yeast, moulds and bacterias in dirty reusable bags. ... But B.C. provincial health officer Dr. Perry Kendall said reusable bags do not pose a serious public health risk if consumers treat bags as they would cutting boards or food preparation surfaces, and wash them regularly and dry them well. This study was released in May, 2009, but it still pops up occasionally on days when the news business is slow Critics like to point out that the study was undertaken and funded by a plastics manufacturing group, and after all, what else would such a group conclude, but that plastic bags are better than reusable ones. Nevertheless, disposable bags are disposed of — along with any bacteria they may carry — while reusable bags accumulate bacteria until they are washed with hot soapy water. Of course the environmentalists are also opposed to hot soapy water, because it takes energy to heat the water and the soap may contain toxic chemicals. Low revenue from the bag tax in D.C. is good news. The District of Columbia is not collecting as much money as it thought it would from its tax on disposable bags. And that's good news. The reduced revenue is evidence that the newly enacted law is working exactly as hoped. People are using fewer plastic and paper bags, and that means less litter clogging area streets and waterways. It's the Washington Post, so what would you expect, but has anyone ever seen a street "clogged" with plastic bags? California moves to ban plastic bags. It could soon cost California shoppers at the checkout aisle if they forget to bring their own bags to the store under what would be the nation's first statewide plastic bag ban. Reusable shopping bags 'are a threat to public health'. Reusable shopping bags could be a threat to public health because they harbour potentially deadly food poisoning bugs, according to new research. Tests on shoppers' bags revealed half contained traces of E.coli, a lethal toxin which killed 26 people in Scotland in 1996 in one of the worlds worst food poisoning outbreaks. Scientists also found many were contaminated with salmonella. Plastic Bags: Untapped Tax Gold Mine? Only one US city — Washington, D.C. — has successful instituted a plastic bag tax, but at least 13 other states are considering one. In its first month, the 5-cent bag tax brought the city about $150,000. Revenues have increased each subsequent month, reaching $226,000 in May, and totaling $942,000 from January through May. The funds have all gone towards efforts to clean up the Anacostia River, which runs through Washington. See You Next Tyranny Day! [Scroll down] A new study from the University of Arizona reveals that reusable shopping bags, the enlightened replacement for plastic ones, are breeding grounds for E. Coli and other dangerous bacteria. Roughly 50 percent of the bags inspected were found to contain dangerous, potentially lethal, bacteria. ... There's always going to be a downside to even the best policies, because the experts don't know as much as they think they do. Sometimes, they don't even know they're not experts at all. In Defense of Plastic. In San Francisco, where the city government has already banned the use of plastic bags, one resident wrote, "I remember when it began to rain last year while I was carrying my groceries home in a paper bag. As I chased my cans down the street, I cursed our idiot mayor and whoever among his stooges had decided to ban rainproof plastic bags in San Francisco. Paper is certainly biodegradable, for the process started even as I was carrying the bag home." Where was her freedom of choice? Disturbing Trends in Eco-Bags: Big-government bureaucrats are already facing an uphill battle trying to convince cost-conscious consumers to give up their plastic bags or pay extra taxes. Now two studies reveal why America's green bag revolution may have some unintended consequences. The Save The Plastic Bag Coalition was formed in June 2008. The sole purpose of the coalition is to inform decision-makers and the public about the environmental impacts of plastic bags, paper bags, and reusable bags. The anti-plastic bag campaign is largely based on myths, misinformation, and exaggerations. We are responding with environmental truth.